Â© Licensed to London News Pictures. 11/09/2013. 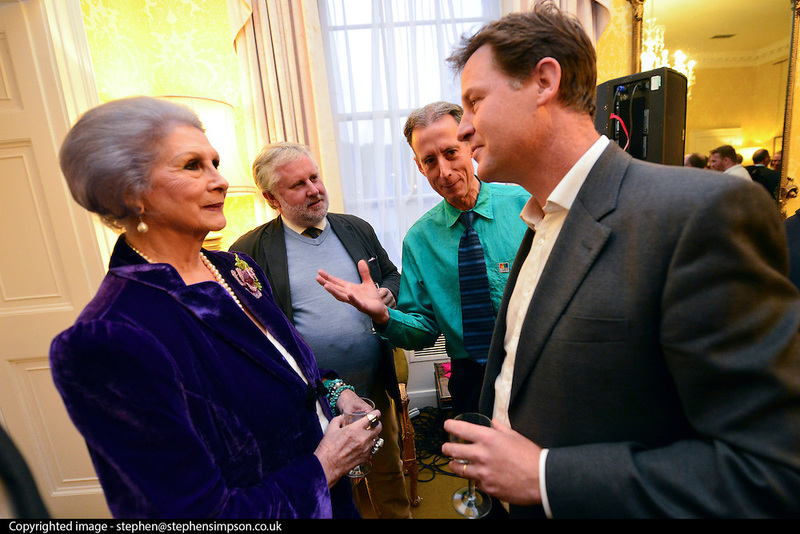 London, UK Nick Clegg (right) talks with April Ashley (Left) , MBE, a transgender model and restaurant hostess. Gary Everett (jumper) of Homotopia and human rights campaigner Peter Tatchell look on. The Deputy Prime Minister, Nick Clegg, hosts a reception at Admiralty House in Whitehall this evening, 11 September 2013, to celebrate the governmentâs progress in equal marriage. From next year gay people will be able to get married. A number of high profile guests including openly supportive celebrities, campaigners, religious figures and charities were in attendance.